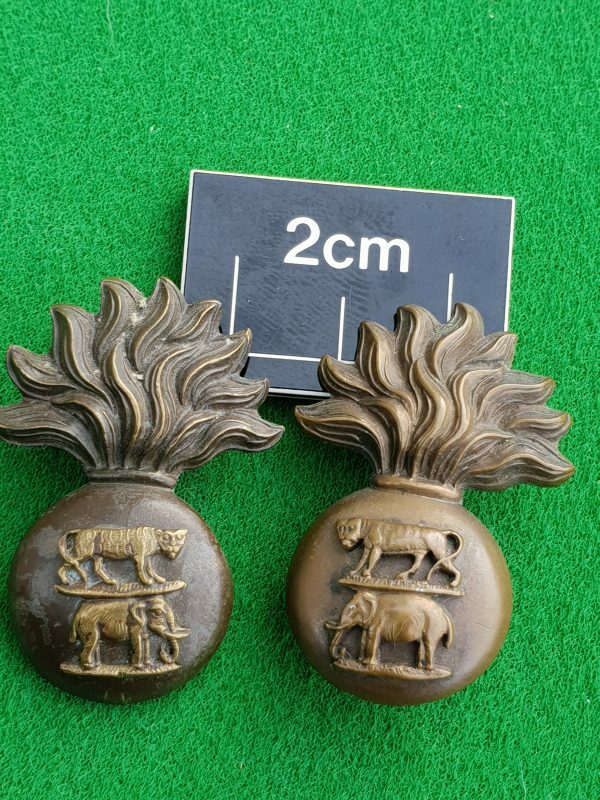 A pair of bronze collar badges worn by an officer in the Royal Dublin Fusiliers. Two lovely and well made bronze collars. They are a pair in the sense that the elephants and tigers face each other. 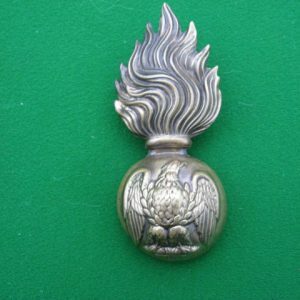 However, on closer examination both badges have slight variations in manufacture. 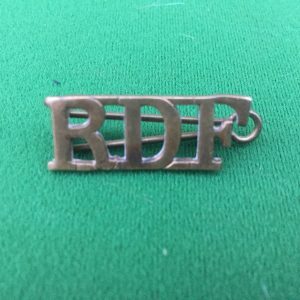 There is a single lug missing from one of the badges. 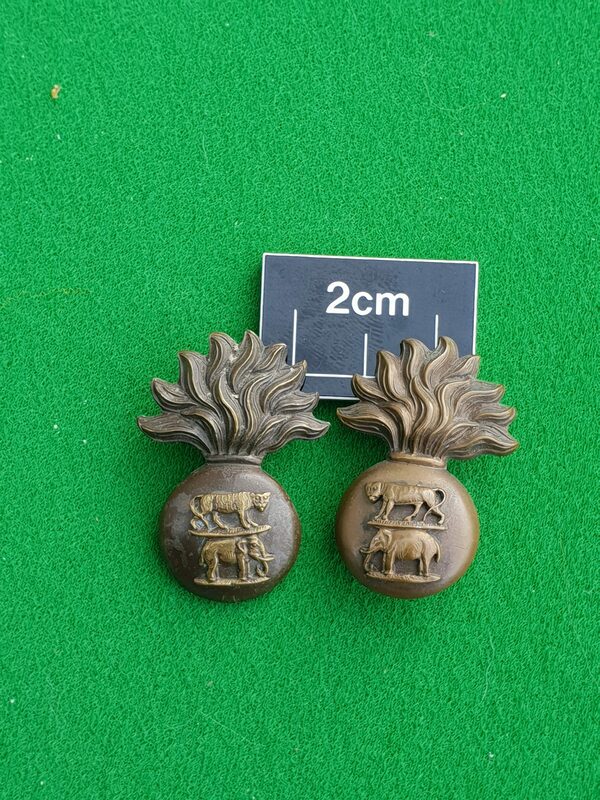 However, they are both original Royal Dublin Fusiliers service dress bronze collars worn by an officer in the regiment.